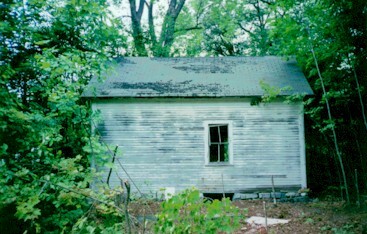 Fall 2000 When first we met, The Little House was buried deep in a forest of saplings. we uncovered the dear little house. 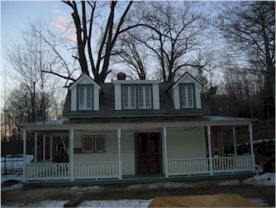 We thought what a wonderful bed and breakfast cottage she would make. new floor joists upstairs and down, and a sturdy slate roof. She now looks out over her world from dormer windows. The Little House is ready to make her debut. as she is still lovingly called. 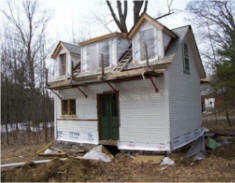 The Little House was built before the turn of the century in the historic village of Fitzwilliam, NH. a maple sugar house and a hide-out for the young. 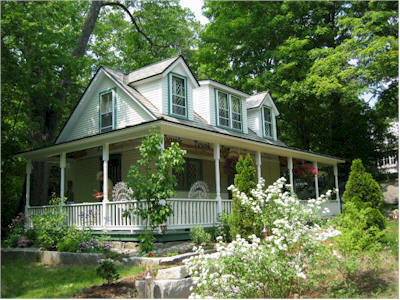 to make a cozy guest house for people visiting the area while retaining it’s history and spirit. We believe we have done this. We hope you think so, too.